I'm feeling so tired and sleepy while typing this post. It's 12:17 am and my body is demanding that much needed rest and sleep. I'm not sick or tired from work. This tiredness is caused by one of my favorite things to do, TRAVELING ! :) Hooray for another fulfilled item in my bucket list! Early last week, my friend B invited me for a possible weekend getaway. The place is located away from Manila. Reaching the place means taking an hour of boat ride. I haven't been to this local tourist attraction so without checking my schedule, I said yes! It was an impulse decision I will never regret. I have gazillion photos to share. I'm still sorting and choosing the best shots. 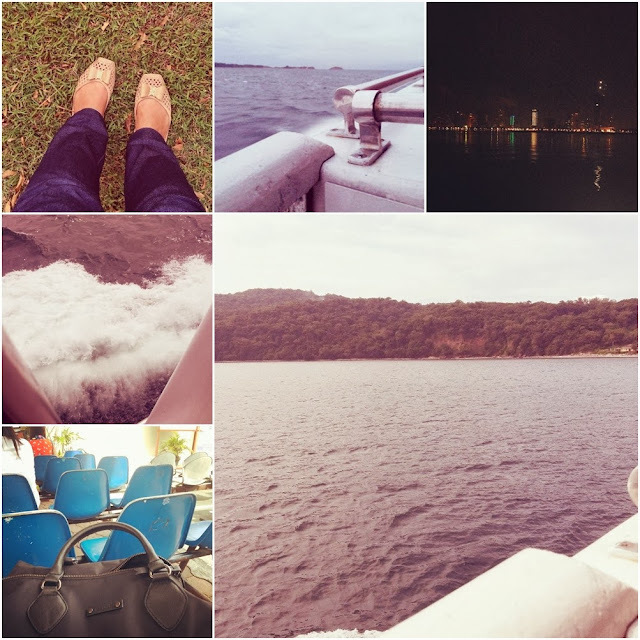 Hence what I have here are just snippets of our adventure. I woke up early to catch the early ferry trip to the island. We were included in the afternoon schedule.We joined the group tour and left the island just in time for dinner in Manila. The island is an item in the Philippine history. 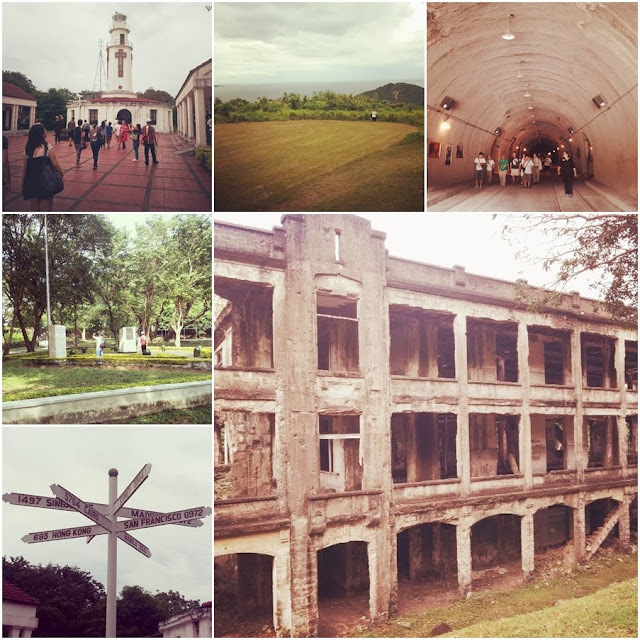 The place known for the ruins, unsung heroes and the breathtaking view of the sky and ocean. I will reveal more photos and the name of the place on my next post. For now, allow me to rest and finally recover my sleeping hours. Looking forward to seeing more pictures from your trip. What is the building on the last photo (the building on the right)? What a wonderful trip. I always learn so much when you share your travel photos! Happy Sunday my friend and namemate! Sweet hugs! Eagerly awaiting the next post! Have a lovely rest!